I hope you are not bored with me (lol), but I'd like to share two more cards using my Matryoshuka Doll. Thank you so much for stopping by! Have a very merry Christmas!! 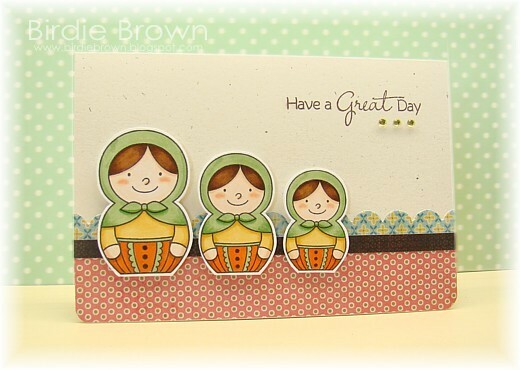 These matryoshka dolls are super cute! 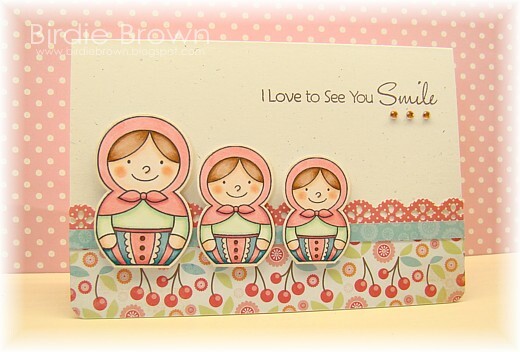 Love the cards you made using them! Never bored with you! Both cards are so sweet and beautiful. I especially like the second one. I like the way you emphasize the word smile by underlining it with the pearls. Oooooo, I love the colours on the second one! These are seriously gorgeous Torico!! I must own them now! !